Contact us if you’d like to have your event listed. 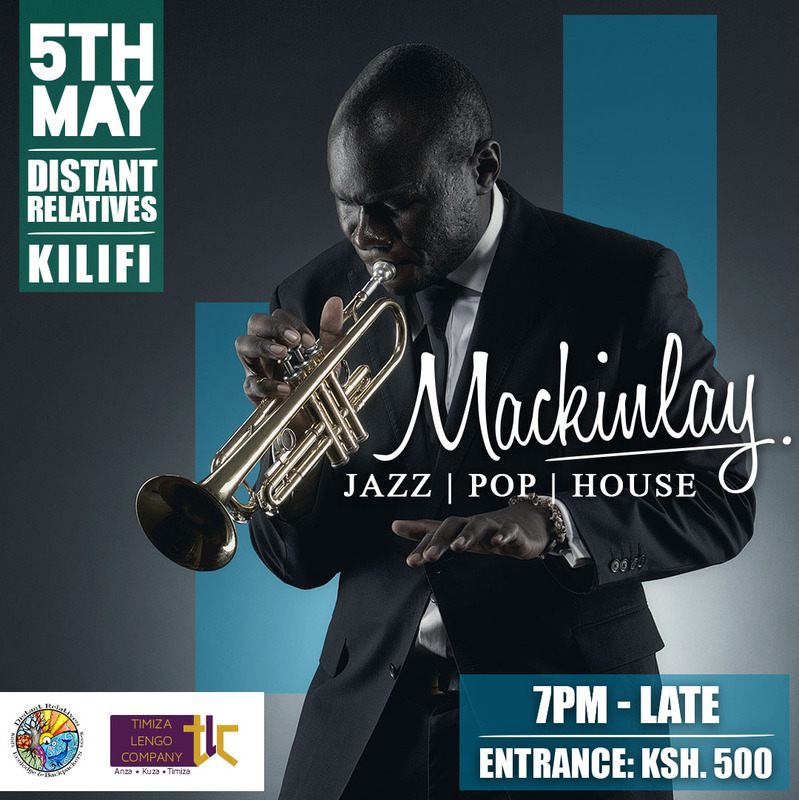 Timiza Lengo Company and Distant Relatives have been able to get Mackinlay, infamous Kilifi trumpeter, founder of the Nairobi Horns Project and the current jazz king in Nairobi, out of his tight schedule to come for an evening gig in Kilifi. Join us for a wonderful jazzy experience mixed in with pop and funk under the stars with Mack whose horn has been blowing audiences away all over East Africa. Zanzibar new year Beach Holiday 5 Nights 6 Days Road Trip 28th-2nd January 2018. JOIN us for the Victoria Falls Platinum Safari Experience in DECEMBER 2018…. Kenya Golf Championship – Annual championship is part of the European Challenge Tour and features over 100 professional players from around the world (http://kenyaopengolf.com/). Kenya Safari Rally (KCB Safari Rally) – Considered to be one of the world’s toughest rally’s, drivers come from around the world to race in the 2-day, Kenyan leg of the FIA African Rally Championship (http://www.africanrallychampionship.com/). Madaraka Day (June 1st) – A national holiday to celebrate the start of self-rule from the United Kingdom in 1963. Safari Sevens (Rugby) – An annual, international, rugby sevens tournament held in Nairobi since 1996, and run by the Kenya Rugby Football Union (http://safarisevens.com/). Kenya Hospitality Trade Fair – An annual trade fair, considered the largest in East & Central Africa for Food and Hospitality Industry (http://www.kenyahospitalitytradefair.com/). Kenya Music Festival – Regional music champions from schools and universities across Kenya perform set pieces, folk songs, choral music, and original pieces. Concours d’Elegance – An annual, international, classic car and motorcycle competition held at the Nairobi Race Course. Nairobi International Book Fair – Held annually at the exhibition hall in the Sarit Centre, this event includes book vendors as wells as discussion, poetry and readers from guest speakers (http://kenyapublishers.org/). Nairobi International Trade Fair – One of the largest trade shows in Kenya attracts both domestic and international exhibitors from the rest of Africa and abroad (http://www.kilimo.go.ke/index.php?option=com_content&view=article&id=496:the-nairobi-international-trade-fair&catid=149:news&Itemid=46). Moi Day (October 10th) – National holiday to celebrate the accomplishments of Kenya’s second President, Daniel arap Moi. Kenyatta Day (October 20th) – National holiday to celebrate the memory of Jomo Kenyatta, Kenya’s first president. Kenya International Film Festival – Annual film festival, features African and international productions, around a certain theme, at various Nairobi cinemas (http://www.kifftrust.org/). Nairobi Marathon – Thousands of runners compete in this annual 42 KM marathon (also includes 21 km half marathon, 10 km road race and a 2.5 km family fun run (http://www.nairobimarathon.com/). Crafts of Africa – Annual Christmas season, African craft and art show at the Sarit Centre. Includes a range of exhibitors selling everything from wood carvings to blown glass. Taste of Nairobi Festival – Annual outdoor festival that includes live music and entertainment, food and beverage vendors, business displays, and arts and crafts (http://www.tasteofnairobi.co.ke/). Kenya Music Week – Held annually at the Sarit Centre, and showcases a range of Kenyan artists (http://www.kenyamusicweek.com/). Jamahuri Day (Independence Day) (December 12th) – National holiday to celebrate Kenya’s establishment as a republic in 1964.